In part four of our 5 Classic Records You Don’t Own, But Should series we featured five albums released in the 2000’s that were critically acclaimed but which were commercially unsuccessful. In this piece, we highlight another 5 excellent new millennium albums, that deserve more spotlight than they received when they were released. Do you have these five in your music collection? The term ‘underrated emcee’ is used far too often and applied all the time to rappers who are in fact widely celebrated. An emcee who is truly deserving of the label ‘underrated’ is the unique R.A. The Rugged Man. R.A. The Rugged Man’s third album, but first commercial release, Die Rugged Man Die was recorded between 1999 and 2004 and finally released in 2004 on the Nature Sounds label – over ten years after his first steps on the Hip Hop scene. In the early nineties, a young R.A. caught the eye of Russell Simons before getting signed by Jive Records. A debut on Jive never happened, allegedly not in the last place due to R.A.’s own uncompromising and at times antagonistic behavior. Whatever did or did not happen for him because of his own attitude and antics, there’s no denying the man’s exceptional lyrical talent. On this debut, the quotable-filled single “Lessons”, the trip through Hip Hop memory lane “On The Block” and cuts like “Chains”, “Dumb” and the great “A Star Is Born” are all testaments of the fact R.A. will always unapologetically say exactly what he wants, and f*ck what anybody thinks about it. 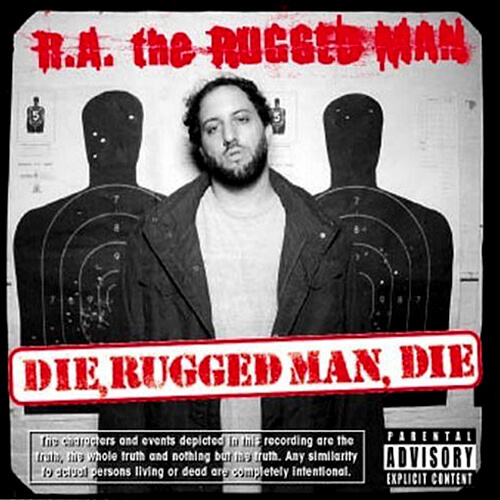 The fact he can back up his attitude with lyrical skills few others possess makes Die, Rugged Man, Die an album to be celebrated and remembered. Nobody ever disputed Canibus’ superior lyrical skills. The fact he made a bunch of not-so-good albums had more to do with subpar production than his work on the mic. 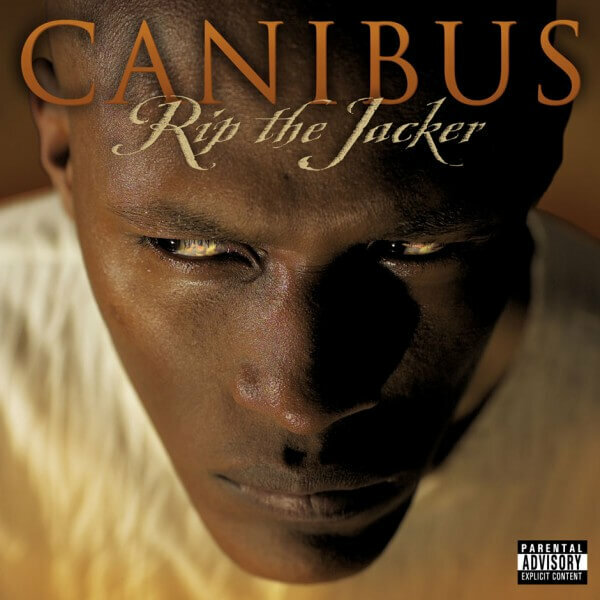 On Rip The Jacker, his fifth studio album, everything finally comes together for Canibus – resulting in what arguably is his best album. Production is done completely by Jedi Mind Tricks’ Stoupe The Enemy Of Mankind, ensuring a totally cohesive sound throughout the whole album. The intricate soundscapes laid down by Stoupe mesh well with Canibus’ complex and sharp rhymes. “Indibisible”, “Showtime At The Gallow”, “Genabis”, “Levitibus”, “No Return” and the 8-minute epic “Poet Laurette II” (in which Canibus spits 200 bars over 3 different beats) are standouts, but all eleven tracks on this album are fire. In a year where a hush-mouthed rapper named 50 Cent sold millions of albums, a true emcee like Canibus went largely unnoticed. Don’t believe the hype – this is easily one of 2003’s best albums (along with the no. 1 on this list). In his two decades in the Hip Hop game, Murs has released a whole bunch of excellent albums – solo as well as collaborative efforts. This may very well be one of his best, the first collaboration album he did with producer extraordinaire 9th Wonder. Murs is another one of those rare personalities in Hip Hop who is always completely real. No fronting, no posing – just honesty and real emotion. The collaboration with 9th Wonder works perfectly – the soundscapes 9th Wonder provides all serve to enhance the strength of Murs’ intelligent lyrics. 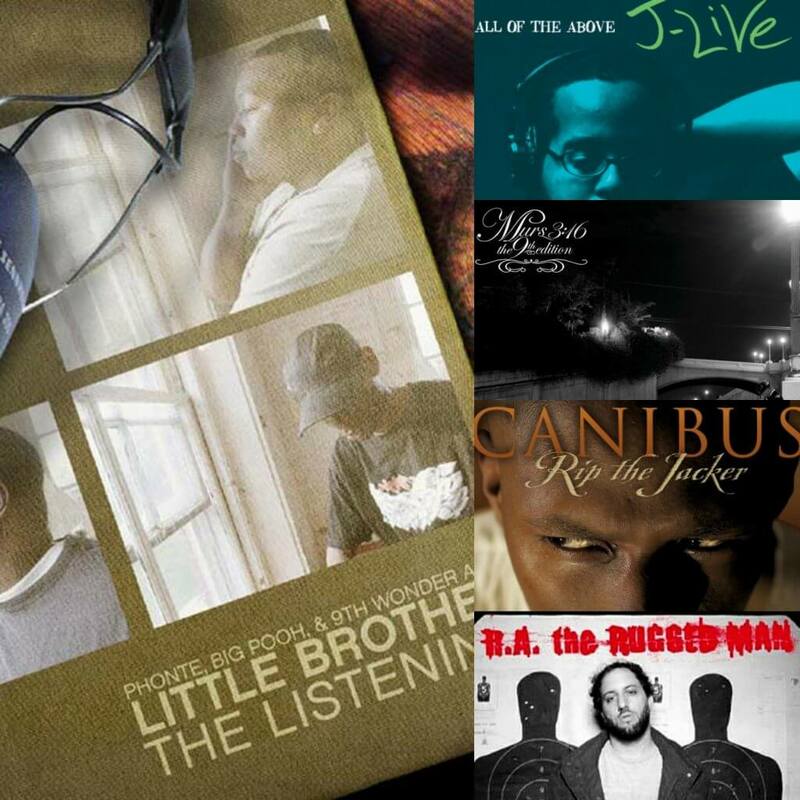 Standouts include the Phonte-featuring “The Animal”, “Bad Man”, “And This Is For…”, “The Pain”, and especially the genius “Walk Like A Man”, which has three different beats to match the mood of the deep and insightful story told. But it is all good – the album is short and sweet and there are no weak spots. A year after his official debut, the brilliant The Best Part, slept on emcee J-Live drops another near-perfect gem with All Of The Above. All Of The Above is the best Hip Hop album released in 2002, even edging out albums like Eminem’s The Eminem Show, Nas’ The Lost Tapes and The Roots’ Phrenology. This album is pure Hip Hop. 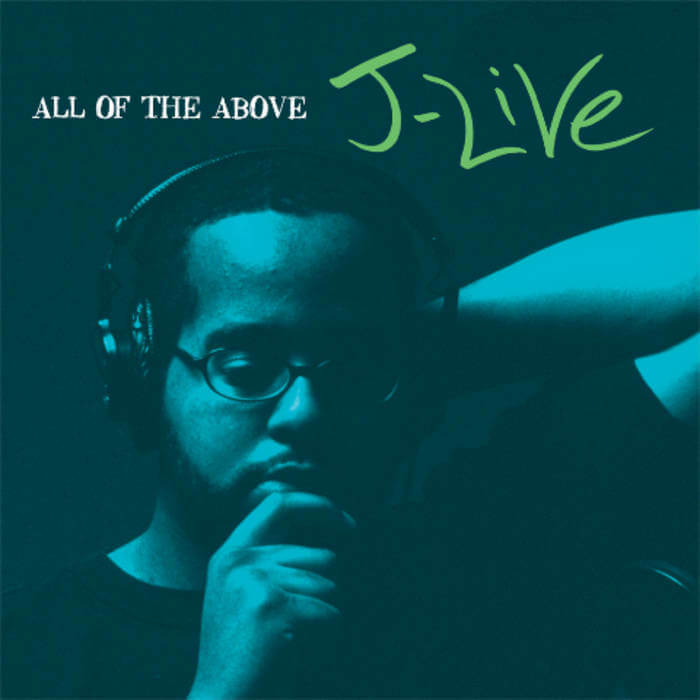 J-Live is way above most of his peers, another emcee who truly deserves the overused label ‘underrated’. Intelligent and confident, the whole album shines, there’s no need to skip any tracks and it has endless replay value – the mark of a true classic. “Satisfied?”, “MCee”, “Traveling Music”, “A Charmed Life”, “Like This Anna”, “One For The Griot”, “The Lyricist” – just a few of the highlights of this long but totally satisfying album. 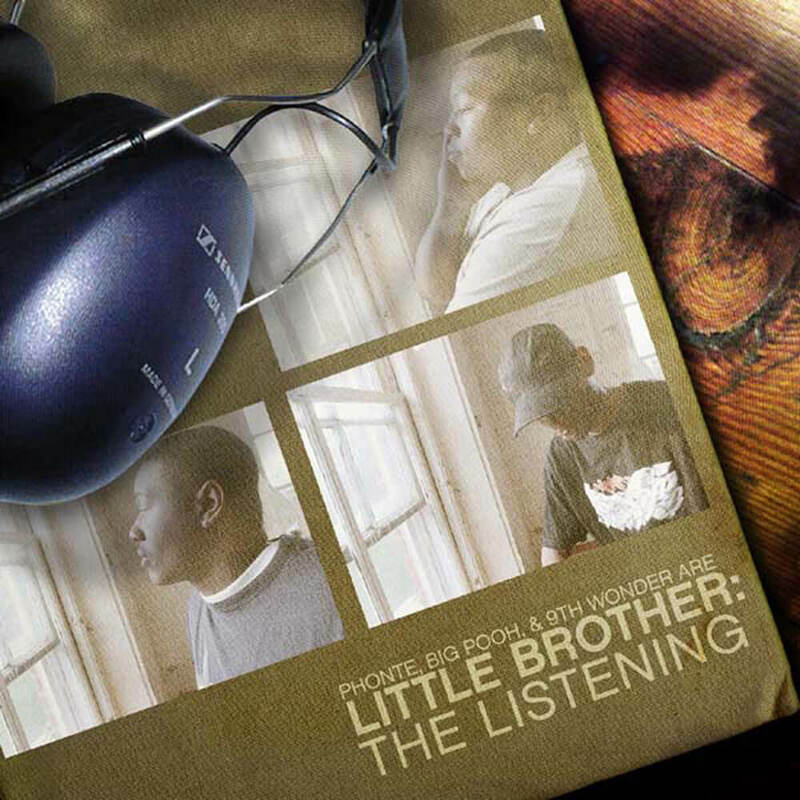 One of the most celebrated indie Hip Hop releases of the early 2000’s, The Listening by North Carolina crew Little Brother is an album that needs to be in your record collection. The Listening is near-flawless, perfectly encapturing the spirit and vibes of classic early & mid 90’s Hip Hop, similar to the soulful sounds of De La Soul, ATCQ, The Fugees and The Roots, but unique enough to stand on its own. 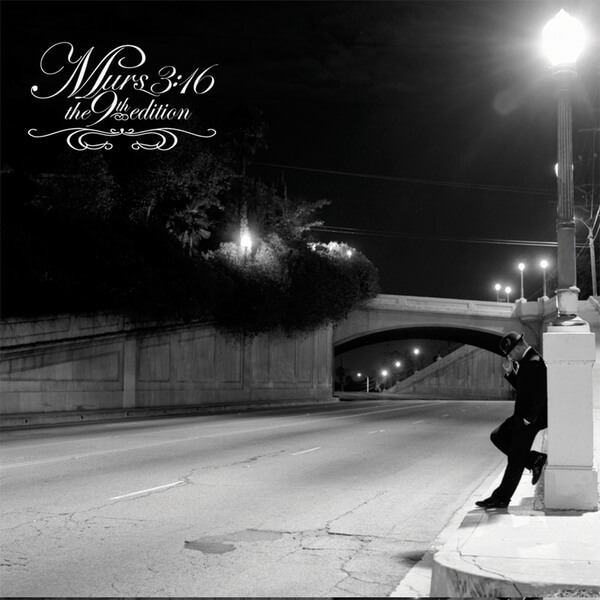 “For You”, “Whatever You Say”, “The Way You Do It”, “Away From Me”, “The Listening” – all tracks featuring clever rhymes by Phonte and Big Pooh and exceptional production by 9th Wonder. Even though The Listening was much-lauded it went relatively unnoticed. If YOU missed out it on for some reason, it’s never too late to pick it up.